From 1 January 2019, the road transport in Russia and China will reach a completely new level. Both countries will resign from the current regulations which allow trucks to run only on the routes planned in advance and only in the border area. 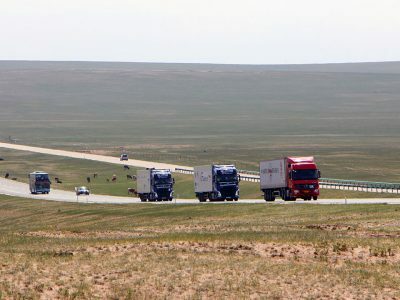 From the new year, trucks will be able to transport cargo further into the country without the requirement of transhipment, along with the new Dalian-Novosibirsk route. 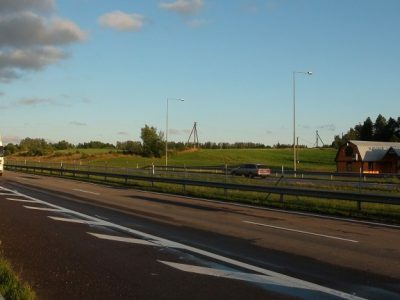 The Russian Federation and China have achieved what they long strived for – finally trucks will be able to move on both sides of the border without transshipment and the change of carriers. Transports used to be conducted only in the border area, covering only 30 km from the border, and only on the routes with unloading spots that were specified in advance. The new solution will enable door-to-door deliveries and will be launched at the beginning of next year. It will be possible thanks to the implementation of the agreement between Russian and Chinese authorities on road transport. The agreement was signed on 8 June 2018, after China joined the TIR Convention and IRU organization. Both countries have already announced the adoption of the internal procedures, necessary to enforce the agreement. The new agreement will be a driving force for the development of the transport route between Asia and Europe as well as Chinese and Russian road transport. It will allow us to increase trade volume, expand infrastructure, simplify procedures and reduce delivery times,” said Nikolay Asaul, the Russian Deputy Minister of Transport. 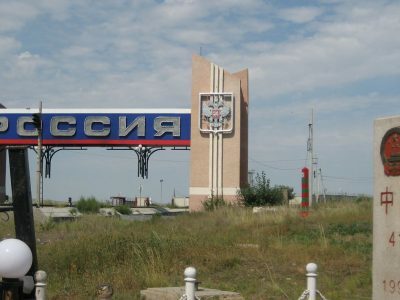 The authorities of both countries have positively assessed the trial transports of fruit, vegetables, and buses on the route Dalian – Yingkou – Manzhouli – Zabaykalsk – Chita – Ulan-Ude – Irkutsk – Krasnoyarsk – Kemerovo – Novosibirsk and have decided to open this route for non-scheduled freight and passenger transports. The loading and unloading operations on this route can be conducted without any restrictions. It is worth mentioning that the whole route is as long as 5.6 thousand kilometers! Until the end of the current year, all the means of transport on the line between China and Russia must be equipped with satellite navigation systems. Both parties have to ensure the implementation of digital technologies using GLONASS and BeiDou navigation systems, which, considering a very short deadline (end of December of the current year), is quite a challenge. Russia and China have already decided on the quotas of transport permits. In 2019, Russia will receive 82 thousand bilateral permits, 1 thousand permits for transports from/to third countries and 200 for transit. Besides, due to the increased volume of freights, the parties have also agreed for 18.5 thousand additional permits of different types. In addition, they have decided to issue the permits for passenger transports: 3400 scheduled and 250 non-scheduled transports. 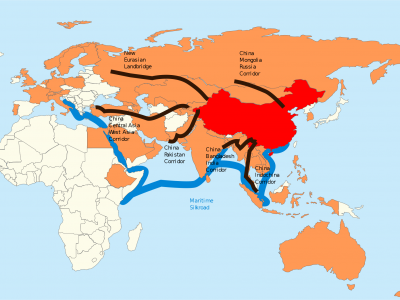 Despite expectations, the new transport route between China and the Russian Federation may also bring many damages. According to Andrzej Iwanow-Kołakowski from AsstrA-Associated Traffic AG, it will mainly hit Russian carriers. I think that it may cause a threat, especially to Russian carriers. The Federation, which has been already importing products from China, will also start importing transport services, which are in fact much cheaper in China. The Russian population is about 144.3 million, while in China it is 1.379 billion. These figures speak for themselves,” said Iwanow-Kołakowski in his interview for Trans.INFO. Sergey Lukonin, Director of the Center for Economic and Political Studies of China (IMEMO) in the Russian Academy of Sciences, claims that Russia used to postpone the launch of the free trade zone and the new transport routes with China for such a long time because there was a concern that the Chinese booming economy would destroy the Russian economy. The full opining of the borders for the carriers from both countries will increase the trade between Russia and China to 100 billion dollars. In the best period, the countries reached 92 billion dollars. During the crisis, it was only 68 billion. However, now the economic situation is different, and hence the need to conclude new agreements,” said the expert. The railway carriers are also afraid of the new agreement. In China, the railway plays a significant role in every province, but its development in harbour zones is very poor. Thus, the transport needs are fulfilled by the road carriers. For example, in 2005, the road transport was overloaded 40 times in such areas as Tibet, Tianjin and Shanghai. In 2015, similar overload was reported in Beijing and Chongqing, while in Hunan, Anhui and Guangdong transport was overloaded 30 times. Although the road transport is one of the most expensive means of transport in China, for the last 10 years, it has grown by 148 percent from 13.4 billion tonnes to 33.28 billion tonnes. If the tendency continues, which is supposed to be the case thanks to the Dalian-Novosibirsk route, the share of the railway transport in the whole Chinese transport market will probably plummet.